Apple has just seeded iTunes 10.5 Beta 8 to all existing developers enrolled in Apple’s developer program which brings in better support for iTunes Music Match service. Today’s release however brings in tons of surprises for everyone, first of all, we don’t see iOS 5 Beta 8 in sight (just yet), which means that the previous release, which was Beta 7 might be the last beta we would probably see before it hits the Gold Master candidate. The Gold Master Candidate will become the final build officially later on, unless a major issue is found. That’s right, iOS 5 and iTunes 10.5 have likely reached the end of their development and will be available to regular customers very soon, unless a showstopper bug is detected: in that case, another Gold Master Candidate would be released shortly after. Despite the imminent release, as of now, iTunes 10.5 Beta 8 is available exclusively to users with an Apple developer registration, alongside Apple TV software beta 6 and iWork for iOS Beta 3. Registering as a developer gives all subscribers access to experimental iOS and iTunes builds, as well as developer-oriented tools and documentation. While aimed at developers, a developer registration is a must-have for all iOS enthusiasts and power users. You can get yours today from Apple’s developer website for $99 per year. Of course, illegal copies of both of these programs will eventually end up on file sharing services in a matter of hours, yet we advise you do spare yourself from the hassle, set aside $99 and get officially registered with Apple. That being said, we’re assuming that downloading iTunes 10.5 Beta 8 over Beta 7 shouldn’t bring any new functionality to iOS 5 Beta 7 itself. But, we still highly recommend that you update to the latest beta just to be on a more updated side. 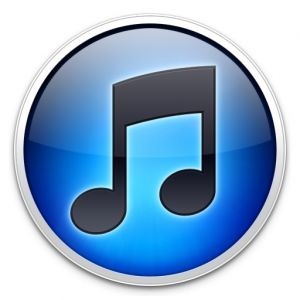 iTunes 10.5 however, is the next major release of iTunes which ties in very well with Apple’s next gen OS for the iPhone, iPad and iPod touch, namely: iOS 5. First announced at Apple’s annual WWDC conference this past June, iOS 5 includes many new features that have been long awaited by users of the operating system, such as a revamped notification system known as Notification Center, which replaces the old intrusive pop-up notifications; new features in Mobile Safari such as Reader mode and Reading list, as well as a new iPad tab layout; and system-wide Twitter integration across many of the built-in iOS apps. iOS 5 is expected to be officially released to the public in the coming weeks along with the final version of iTunes 10.5, which both ties up very well with Apple’s new cloud service called iCloud.